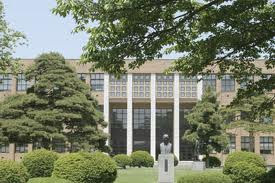 Tohoku University was founded in 1907 and is one of the oldest Universities of Japan. The School of Science began its history with the foundation of the University, and the Graduate School of Science started later in 1953. The Graduate School of Science is composed of six departments including Mathematics, Physics, Astronomy, Geophysics, Chemistry, and Earth Sciences. These departments cover the full spectrum of basic natural science. A number of research laboratories, including those on earthquake, planetary science, giant molecule research, belong to the School of Science. In addition, it has close relationship with some highly advanced research institutes at Tohoku University, such as Institute for Materials Research and Research Center for Neutrino Science. According to Thomson Reuters ESI (Essential Science Indicators) 2011 ranking of citations, Physics at Tohoku University is ranked second in Japan and tenth in the world, for example. IGPAS is a 5-year graduate program combining a 2-year master’s program and a 3-year doctoral program. Each student is affiliated with one of 6 departments: Mathematics, Physics, Astronomy, Geophysics, Chemistry, and Earth Sciences. Each department determines its own curriculum and course requirements. Availability of classes varies depending on the semester and/or departments. Students may consult their supervisor about their research plan each semester before registration. The master’s program consists of a series of lectures, seminars and thesis research. To complete the program and to be awarded a Master of Science degree, students must fulfill the following requirements under the supervision of an academic advisor: (i) 2 years of enrollment, (ii) completion of 30 or more academic credits, including at least 2 credits from interdisciplinary-study classes and 16 credits from seminars and research. In addition, it is required to (iii) submit a master’s thesis in English and (iv) pass the review and final examination. In regards to (i), however, students who receive approval from their supervisor and department may complete the program in less than the stipulated period of time if approved. The doctoral program focuses more on research than the master’s program does. To complete the program and to be awarded a Doctorate of Science degree, students must fulfill the following requirements under the supervision of an academic advisor: (i) 3 years of enrollment, (ii) completion of 20 or more academic credits, including 16 credits from seminars and research. In addition, it is required to (iii) submit a doctoral thesis in English, and (iv) pass the review and final examination. In regards to (i), however, students who receive approval from their supervisor and department may complete the program in less than the stipulated period of time if approved. (i) Those who have graduated, or will graduate, from a university by September 30, 2012. (ii) Those who have completed, or are expected to complete, a total of 15 years of school education by September 30, 2012 and have been recognized by the Graduate School of Science to have performed well in classes related to the field of study. (iii) Those who have reached 22 years of age by September 30, 2012 and have been recognized by the Graduate School of Science, through individual qualification examinations, to have a scholastic ability equivalent or superior to those who have graduated from a university. (i) Those who have earned, or will earn, a master’s degree by September 30, 2012. (ii) Those who have engaged in research activities for at least 2 years at an educational or research institution after graduation from a university and have been recognized by the Graduate School of Science on the basis of their research performance to have a scholastic ability equivalent or superior to those who have earned a master’s degree. (iii) Those who have reached 24 years of age by September 30, 2012 and have been recognized by the Graduate School of Science through individual qualification examinations to have scholastic ability equivalent or superior to those who have earned a master’s degree. The term ”graduated from a university” means a total of 16 years of educational programs, which consists of 12 years of school education and a 4- year undergraduate (bachelor) program. The term “complete a total of15 years of educational programs” means completion of a 3-year undergraduate (bachelor) program, or finishing the 3rd year of an undergraduate program, in addition to 12 years of school education. As of 2011, the application fee is 30,000 JPY, the admission fee is 282,000 JPY, and the tuition is 267,900 JPY per semester (535,800 JPY per year). Students may apply for admission and/or tuition fee waivers, but the competition for the waivers is very tight. Overall living expenses in Sendai, including rent, utilities, food, transportation, and so forth, may range from 80,000 to 150,000 JPY depending on conditions. For visa application, incoming students may need to have a financial support or enough savings to bear expenses incurred during your stay in Japan. Master’s Program: MEXT scholarship for 8 students IGPAS is one of the educational programs selected by the Ministry of Education, Culture, Sports, Science and Technology (MEXT or Monbukagakusho) to be assigned priority positions for Japanese government scholarships, or MEXT scholarships, by University Recommendation. MEXT grants qualified students 5 years of financial support: 2 years of financial support for the master’s program followed by 3 years of financial support for the doctoral program, as shown below (as of 2011). (a) Exemption from application, admission and tuition fees. (b) Roundtrip airfare between the nearest international airport in the country of the student’s nationality and Japan. (c) Monthly stipend of 154,000 JPY as a master’s student and 155,000 JPY as a doctoral student. (i) Those who will come to Japan from a foreign country newly for IGPAS admission. (ii) Those who were born on or after April 2, 1977. (iii) Those who intend to complete the master’s and doctoral programs within five years from admission. (iv) Those who satisfy the application requirements designated by MEXT. *The application guidelines for the MEXT scholarship by University Recommendation will not be available until the end of October, 2011. In the meantime, please refer to 2.Qualifications (1)-(9) of the latest application guideline for the MEXT Scholarship by Embassy Recommendation for 2012. official website. (v) Those whose grade point average is higher than the criterion designated by MEXT. No governmental or institutional scholarships available via IGPAS 2012. – Academic Research Staff at official website. – gather information about the faculty members and their field of research in advance by looking at their publications, research papers, and personal websites. – include “IGPAS 2012” in the subject line of the email. – provide as much of your academic background as possible. Step 4: Send the application to the IGPAS Admissions Office. All documents should be enclosed together, sent via airmail, and received by the IGPAS Admissions Office by November 30, 2011 JST. Applications will be forwarded to the examining committee of each department. The examiner will inform you of the method and schedule for the examination via email by the end of December, 2011. From those who have applied for a MEXT scholarship and passed screening for IGPAS master’s program, the IGPAS Committee will select and recommend 8 candidates to MEXT. The results of admission to IGPAS and the nomination for MEXT scholarships will be announced between February 1 and 15, 2012. Demikianlah informasi International Graduate Program for Advanced Science, Tohoku University, Japan kami sampaikan, semoga bermanfaat.